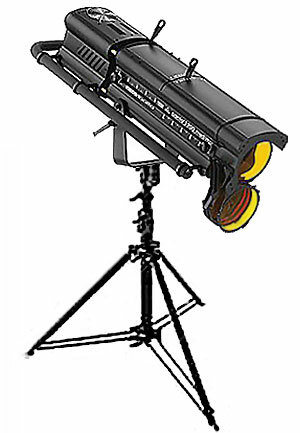 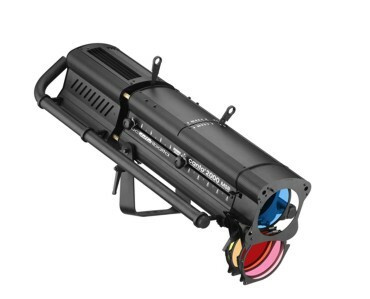 This 1200W followspot is designed for use with a Tungsten source. 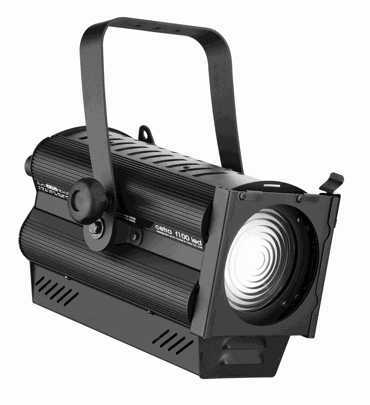 It incorporates a double condenser zoom optical system, a large side handle to control pan and tilt movement, and a double microswitch for safe lamp replacement. 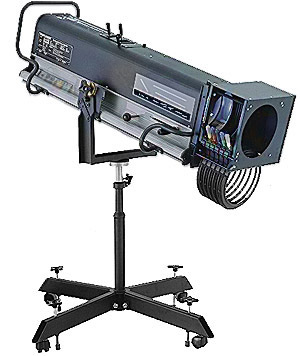 A purpose designed 1200W discharge arc followspot.The Performer 1200 MSR is fully featured with excellent light output, single action zoom operation, operational controls positioned together on top of the Followspot, iris, mechanical dowser and cutter, reference scales and much more.